Three years in French oak barrels … plus three more years in bottle … each vintage of Delgadillo Cellars Cabernet Sauvignon is beautifully matured before we consider it ready for release. Effusive aromatics and graceful layers are the hallmarks of our family’s wine. Richly textured with a long and flowing finish, this vintage is a thrill to enjoy today. Appealing scents of blackberry and ripe black cherry flow to hints of cola, cedar and a touch of baking spice. Juicy cherry and plum fill the palate, turning to velvety waves of mocha, spice and blackberry crème. Smooth and mouth-filling with nuanced layers, this is Napa Cabernet at it is meant to be! Vineyard Notes Mill Creek Vineyard, situated on the west side of the Napa River midway between St. Helena and Calistoga, produces intensely flavored grapes and expressive wines. 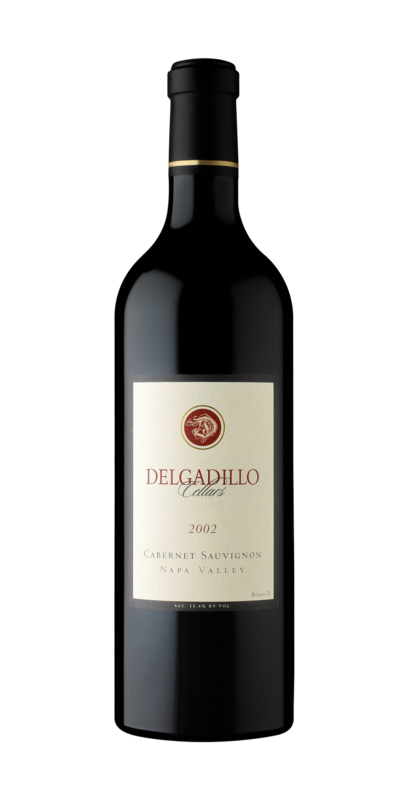 The Cabernet Sauvignon vines are meticulously hand-tended by Ignacio Delgadillo, Sr. Planted in the early 1970’s, the gently sloping 2 ½-acre site is completely dry-farmed. As a result, the annual yield is limited to 3 ½ tons and the grapes are small and robustly flavored. Winemaker Notes Grapes were harvested at 25° Brix in the cool early morning hours to ensure clusters arrived at the winery in perfect condition. After destemming, a whole-berry fermentation lasted 8 days. A gentle basket press separated wine from the skin cap, capturing nearly free run juice.